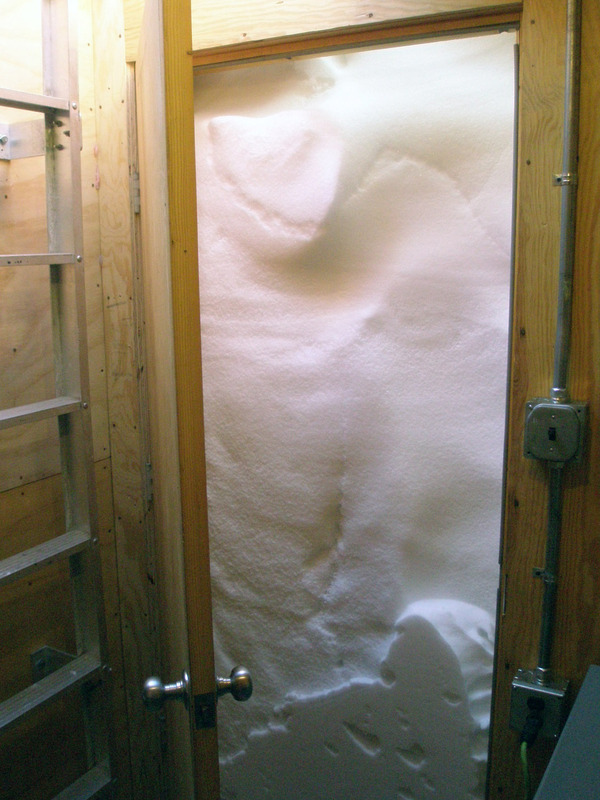 Problems with snow accumulation lead to doorways becoming inaccessible, and trap doors are later installed on the tops of buildings to provide access, see the ladder to the left. The inherent instability of the snow as footings leads to buildings that lean - especially if their weight is not evenly distributed. Hence many modern Antarctic building are built on jackable legs to prevent snow accumulation and to deal with uneven settling.